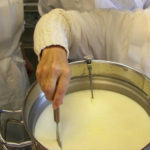 All Things Dairy Cheesemaking Workshops – We have had good feedback and also welcome ideas from you. Workshops will be arranged if numbers are sufficient. So don’t hesitate – contact us and tell us what you would like to learn and we will do our best to respond.